As a co-founder and one of 20 mentors for Capital Factory, I'm proud and excited to get started our first year with 5 startups! Here's the release that we just put across the wire today! The program starts with these entrepreneurs May 22 going through August. And you can follow all 5 startups on Twitter! startups selected to participate in its inaugural 2009 summer program. legal counsel from Wilson Sonsini Goodrich & Rosatti, public relations support from Porter Novelli, and accounting support from The Accounting Group and vCFO, among many other benefits. Austin and one, Homstie, will be relocating from California this summer. most and with the greatest chance of success. Factory is an early stage technology incubator based in Austin, Texas. 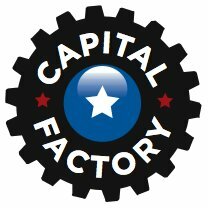 the website at www.capitalfactory.com or on Twitter @capitalfactory.